Author(s) Mingst, Karen A.; Mingst, Karen A.; Snyder, Jack L.; Snyder, Jack L.
Essential Readings in World Politics introduces students to key literature in international relations and provides everything instructors need to round out their syllabus, including classic readings and contemporary articles on ongoing international issues drawn from a wide range of sources and accompanied by headnotes offering the context and background that introductory students need. In the Sixth Edition, 23 new readings offer diverse perspectives on current topics such as the rise of China, the proliferation of terrorism and terrorist groups, international human rights, and the consequences-and failures-of international climate negotiations. 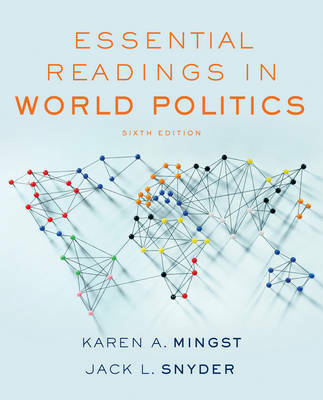 The chapters complement Mingst and Arreguin-Toft's companion text, Essentials of International Relations, and can be packaged at a discount with that text or used on its own.